The former CEO of Trans Canada says the only way Kinder Morgan’s pipeline moves forward is if Ottawa promises a $10 billion taxpayer-funded bailout if their whole project goes under. We’re not going to let it happen. Giving taxpayer money to a shady US oil company? It’s a wildly unpopular idea with Canadian voters. We need to wake Liberal MPs up. Dogwood volunteers are planning canvasses in Vancouver’s West End to make sure Liberal MP Hedy Fry hears us. Trudeau’s backroom negotiations with Kinder Morgan are wrong and should be stopped. By building local political power in key ridings like the West End, we can push Hedy Fry to apply more pressure in the Liberal caucus to change Ottawa’s course. We already know many B.C. MPs are secretly horrified by Trudeau’s broken promises. Let’s make sure Hedy Fry feels the heat from voters in her riding by canvassing our neighbours by Denman Place Mall. 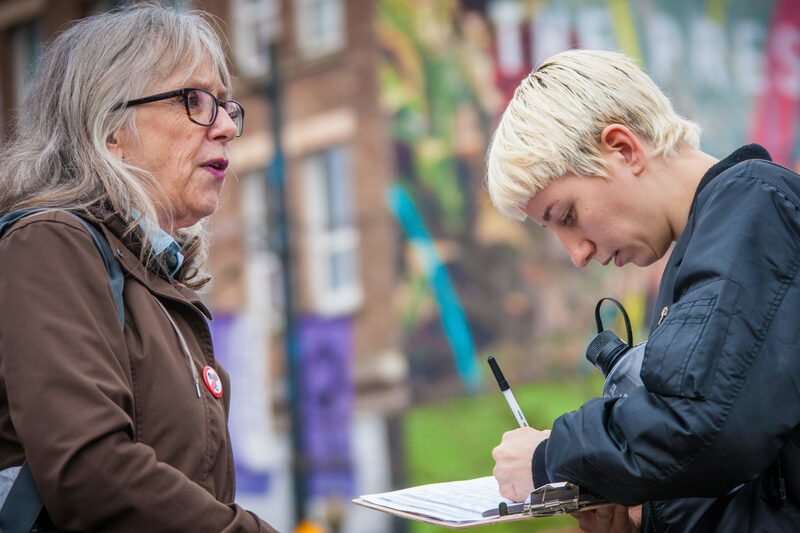 Whether you’re a seasoned canvasser or it’s your first-time you’re invited to join us. We’ll do a training at the start and bring everything you need to collect signatures in opposition to the Texas tanker bailout. Kids, grandkids, pets, and friends are welcome. RSVP to let us know you’re coming. Text Mike at 604-359-1801 if you have any questions.